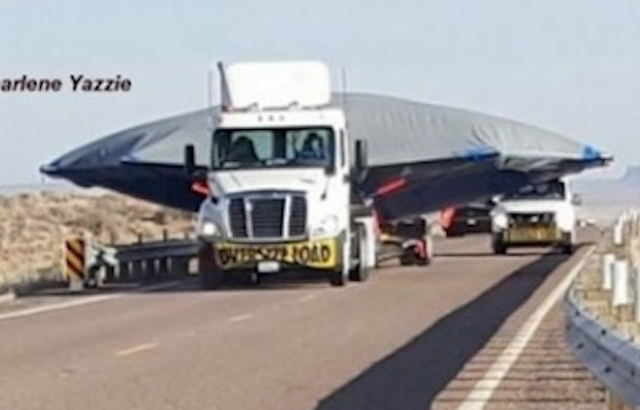 UFO SIGHTINGS DAILY: UFO On Trailer With Black Trucks Following, Seen On Highway In Arizona, March 6, 2016, UFO Sighting News. 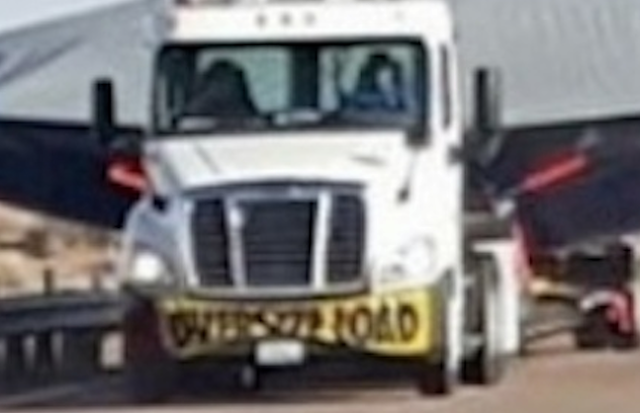 UFO On Trailer With Black Trucks Following, Seen On Highway In Arizona, March 6, 2016, UFO Sighting News. This could be some of the alien tech being moved out of Area S4, part of Area 51. Its a well known fact that lots of new tech the USAF gets is tested there, especially the anti gravity types like the TR3B and some disks. This looks like one of those secret projects. There are black vehicles behind it, but the eyewitness says they are the Department of Safety patrol trucks. For the USAF to be transporting it and not flying it, means this is the newest alien tech. Probably given recently from aliens to the USAF as a gift. Call the Men in Black! 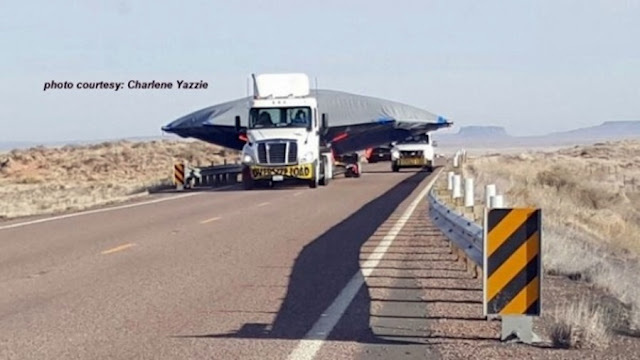 Folks driving on Arizona State Route 77 near Holbrook Friday morning got quite a surprise. Charlene Yazzie just had to take a photo. “I was driving north and the truck was headed south to the freeway,” she told our reporter. “It was escorted by three DPS vehicles”. Her photo shows a large saucer-shaped object, draped in tarps, on the bed of a flatbed semi-hauler. She posted the photo on Facebook and the speculation began. “UFO,” wrote one person. “ET came home,” commented another. We contacted the Arizona Department of Public Safety. The Duty Office, which dispatches troopers all over the state, responded cleverly, “Unfortunately we do not know what that is, but it looks interesting.” We will keep looking for an explanation. Until then, what do YOU think?